Thanks for partnering with Adventures in Life and Dave Miller's Mexico! Dave, I want to help stock the pharmacy for the May Medical Clinic in Oaxaca. Our pharmacy clinics across Oaxaca provide antibiotics, over the counter meds, pain relievers and everything our doctors and dentists require to properly treat the hundreds of people who come for care. The cost of a pharmacy for a 4 day clinic now exceeds $2000.00. Can you help us on the upcoming clinic in Puerto Escondido, Oaxaca? Adventures in Life Ministry... We are a non-profit organization registered in Nevada. 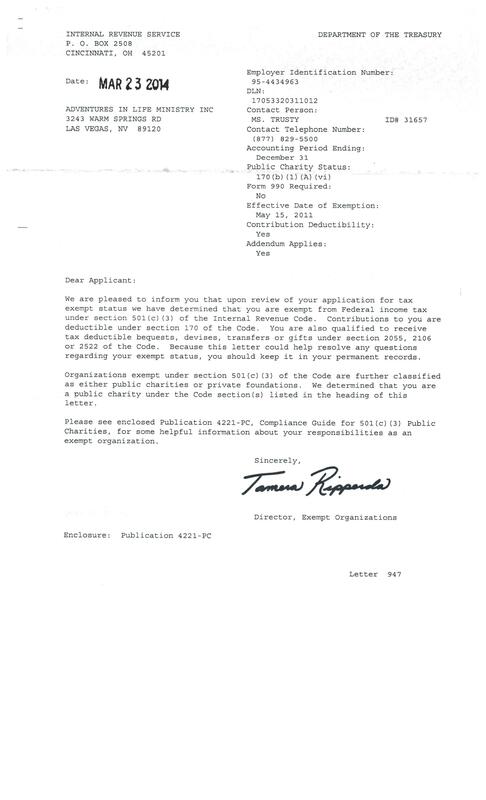 We are exempt from federal taxes under section 501(c)3 of the Internal Revenue Code. Any monetary donations to Adventures in Life Ministry are deductable under section 170 of the code. Additionally, we are approved to receive bequests, devises, transfers and other gifts under sections 2055, 2106 and 2522 of the code. Our Federal Tax ID Number is 95-4434963. To make a donation to Adventures in Life Ministry, please do so on PayPal where we accept debit cards, Visa, Mastercard, Discover, American Express. You can donate a one time gift or set up a monthly recurring donation. For a one-time donation, use one of the buttons below. 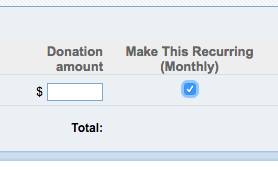 If you would like to make a monthly donation, select the custom option, enter your custom amount and select the box labeled "Make This Recurring (Monthly)". To use the custom option for a one-time donation, simply leave the box unchecked. You may send also us a check. 3243 E. Warm Springs Rd. Thank you and know that your investment in Adventures in Life Ministry will make an impact in Mexico!